The Holland Haven football team have been training hard in all weathers. The atmosphere in our training sessions has always been great. Boys have worked on their fitness and developed their ball skills; the atmosphere has been lighthearted and we've had lots of fun. Our school matches have not been easy because there are many larger schools around with some very good teams and players. We are always ready to make an effort and players invariably give their very best and are very good sports. Well done! Over the last few years we have won both the Clacton School's Cup and League competitions several times but this year it has been especially hard with some very good teams to play against. 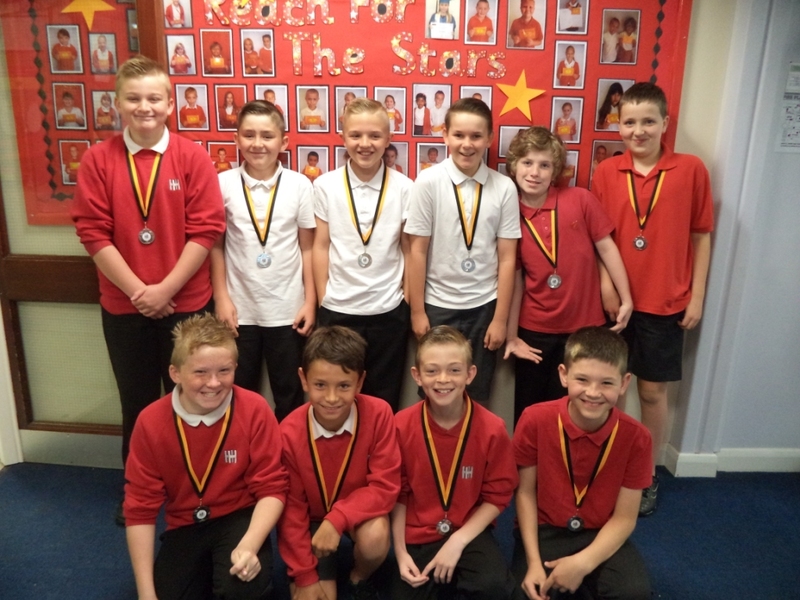 Our team comprises of Robert Williams, our excellent Team Captain, and other outstanding Yr 6 players: Jamey, Jack, Michael, Marcus, Alfie, Charlie and Yr 5 players: Alfie and Alfie! This season we have won 8 league matches and lost just 2. We were Runners Up in the League and the boys that played in the team will be receiving a medal. You will be able to see our team in action on Friday 23rd May in the Hadley Cup against some local schools at home on our school pitch. 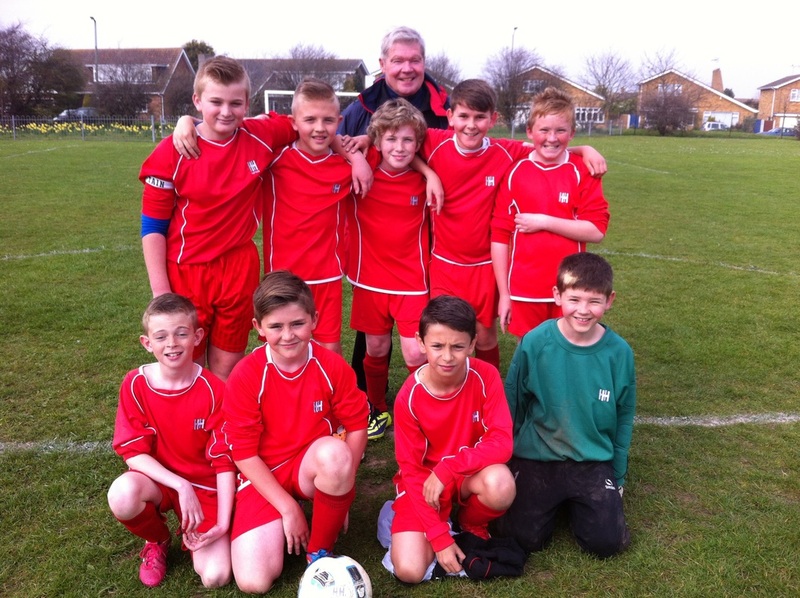 The team gained 2nd position in the Large Boys' Football League.